Can good nutrition prevent cataracts? Visual acuity: What does 20/20 mean? All about your child's eyes from birth to age 12. Contact lenses, sports vision and other topics for teens. How to deal with presbyopia and other vision changes. How to protect your vision in your senior years. Can a healthy diet prevent cataracts? What do the numbers on your eyeglass frames mean? Eyeglass temples: How do you know if they're the right length? Can you be allergic to eyeglasses? How do you choose the best power for reading glasses? Do reading glasses weaken your eyes? Can glasses be prescribed for monovision? Can LASIK reduce the need for reading glasses? How do you choose the best eyeglass sizes? How many pairs of glasses do you need? Buying eyeglasses online: A good idea? What are the best sunglasses for driving? What are the best sunglasses for golf? Which sunglasses are best for skiing and snowboarding? Time for bifocal contact lenses? Teens: Is it time for contact lenses? How do I choose the best contact lens color? How much do colored contacts cost? Where can I buy contacts without a prescription? How do I choose the best contact lenses? Are contact lenses safe for kids? Can wearing contact lenses cause headaches? Can contact lenses damage your eyes? Can I use water to clean my contact lenses? How can I tell if my contacts are inside out? Can a contact lens get lost behind my eye? Where should I buy my contact lenses? How much do contact lenses cost? Are contact lens and eyeglass prescriptions the same? Vision insurance or vision benefits plan? Is custom LASIK a better choice? Is too much screen time bad for kids? Quiz: How much do you know about computer vision syndrome? Age-related cataract is a leading cause of blindness in the world today. Currently, the only treatment for cataracts is surgical removal of the cloudy lens, which typically is then replaced with an intraocular lens (IOL) during the cataract surgery. While the exact cause of cataracts is unknown, experts believe that oxidative stress damages certain enzymes and proteins in the eye's natural lens, which causes the lens to become cloudy. and certain vitamins has been shown in several studies to be associated with a reduced risk of cataracts or their progression. Oxidative stress results when there is an imbalance between damaging free radicals roaming the body and the antioxidants that keep them in check. Free radicals are atoms or groups of atoms (molecules) that are highly reactive with other atoms and molecules because they have unpaired electrons. A diet that includes plenty of fruits and vegetables may reduce your risk of cataracts later in life. In the body, a free radical usually is an oxygen molecule that self-stabilizes by taking an electron from another molecule, which in turn tries to take an electron from another molecule, and so on. Free radicals damage the body by stealing electrons from the normally healthy cells of organs and other tissues. This process of stealing electrons from healthy cells is called oxidation. In the eye, oxidation affects proteins and fats in the lens to the extent that the lens becomes damaged and cloudy, creating a cataract. Preventing free radical damage with healthy foods, particularly those containing antioxidants, may help slow down this process. Free radicals that damage our eyes and the rest of the body may originate from eating unhealthy foods, exposure to pollution or chemicals, smoking and ultraviolet radiation. Some free radicals occur from normal daily metabolism, which means even people who don't have these risk factors need antioxidants found in healthy foods. found in fruits and vegetables that may reduce the risk of cataracts include vitamins A, C and E, lutein and zeaxanthin. Consumption of fish, which is high in omega-3 fatty acids, also has been linked to potentially reduced risk of cataracts or their progression. In 2014, researchers in Sweden published the results of a study of the association between all antioxidants in the diet and age-related cataract. More than 30,000 women age 49 and older completed a dietary questionnaire and were observed for age-related cataract development for an average period of 7.7 years. The study authors found that the women whose diet contained the highest total antioxidant capacity (TAC) were significantly less likely to develop cataracts compared with those whose diets were low in antioxidants. The main contributors to dietary TAC in the study population were fruit and vegetables (44.3 percent), whole grains (17.0 percent) and coffee (15.1 percent). In a study published in Investigative Ophthalmology & Visual Science, researchers in Australia found that a diet high in carbohydrates may increase cataract risk. Evaluation of the eating habits of more than 1,600 adults revealed that individuals in the top 25 percent for total carbohydrate intake had more than three times the risk for cataracts than those in the lowest 25 percent for carbohydrate intake. A large study of adult women in Iowa, Wisconsin and Oregon published in Archives of Ophthalmology found that eating foods rich in a variety of vitamins and minerals may help delay the development of cataracts. In an earlier study published in the same journal, the same researchers found diets rich in lutein and zeaxanthin are moderately associated with decreased prevalence of cataracts in older women. A 10-year study of more than 2,400 older adults in Australia published in American Journal of Clinical Nutrition found that higher intakes of vitamin C or the combined intake of multiple antioxidants reduced the risk of cataracts in this population. A Japanese study published in British Journal of Ophthalmology linked cataract formation to oxidative stress associated with decreased levels of antioxidants in the lenses of affected eyes. A large study of female health professionals conducted by researchers at Harvard Medical School, Harvard School of Public Health and the Veterans Affairs Boston Healthcare System published in Archives of Ophthalmology found that higher dietary intakes of lutein, zeaxanthin and vitamin E from food and supplements were associated with significantly decreased risk of cataract. However, other studies have failed to show an association between nutritional supplements and reduced risk of cataracts. In two long-term Age-Related Eye Disease studies (AREDS and AREDS2) sponsored by the National Eye Institute, neither study found use of daily multivitamin supplements containing vitamin C, vitamin E and zinc (with or without beta-carotene, lutein and zeaxanthin, and omega-3 fatty acids) prevented or slowed the progression of cataracts. And while all nutrients, antioxidants and phytochemicals associated with cataract prevention in studies can be found in eye vitamins and vision supplements, many experts believe these substances should be acquired from a healthy diet rather than from nutritional supplements. But if you are like most Americans, it's likely that your diet lacks key nutrients because you're not eating enough fruits and vegetables. Therefore, it's wise to consider taking one or more daily nutritional supplements to make sure you are getting all the nutrients you need for optimum eye health. Prior to embarking on a regimen of eye vitamins and other nutritional supplements, consult your optometrist or ophthalmologist. In some cases, taking too much of a specific vitamin or nutrient could be harmful to your health. So exactly what is a healthy diet? A healthy diet that provides good nutrition for healthy eyes includes five to nine servings of fruits and vegetables every day, at least three servings of 100 percent whole grains each day and two servings of fish each week. The total calories consumed should be just enough to keep you at a healthy weight, based on your individual activity level and metabolism. Dark green and colorful fruits and vegetables are great sources of eye-friendly antioxidants. They also contain folic acid and calcium — important nutrients which also may help reduce the risk of cataracts and should be included in a healthy diet. To maintain a healthy diet, it is equally important to avoid fried foods, processed foods and sugary snacks and soft drinks — all of which appear to be associated with an increased risk of cataracts, as well as obesity and other health problems. Reducing sodium in your diet also is a good idea, as researchers at the University of Sydney (Australia) have found evidence that high salt intake may increase your risk for cataracts. Giving up greasy fast food, chips, sugary snacks and soft drinks may not be easy. But it's worth it. Once you get used to eating delicious fruits and vegetables, fresh fish and other healthy foods, you won't miss junk foods. And your reward just might be both a healthy body and a lifetime of good vision. When taking steps to reduce your risk of cataracts, it's important to know that dietary modifications alone aren't enough. It's also important to shield your eyes from the primary source of harmful UV radiation: the sun. Polarized sunglasses. Polarized sunglasses provide 100 percent UV protection and are available in a wide variety of colors and shades. Photochromic lenses. Transitions-brand lenses and other photochromic lenses are clear indoors, darken automatically in sunlight, and provide 100 percent UV protection at all times. For the best choices in frame styles for UV-protective eyewear, ask your optician for guidance. 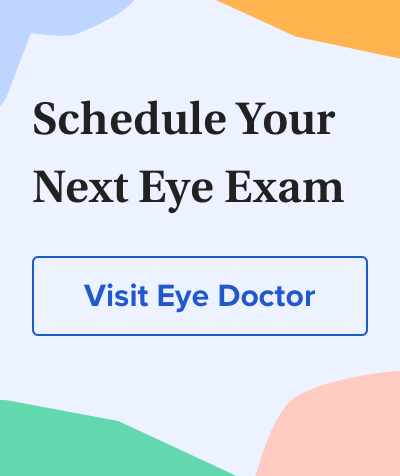 Find an eye doctor near you and schedule an exam. Total antioxidant capacity of the diet and risk of age-related cataract: a population-based prospective cohort of women. JAMA Ophthalmology. March 2014. NIH study provides clarity on supplements for protection against blinding eye disease. National Eye Institute. Press release issued May 2013. Dietary carbohydrate in relation to cortical and nuclear lens opacities in the Melbourne Visual Impairment Project. Investigative Ophthalmology & Visual Science. June 2010. Healthy diets and subsequent prevalence of nuclear cataract in women. Archives of Ophthalmology. June 2010. Vitamin C supplements and the risk of age-related cataract; a population-based prospective cohort study in women. American Journal of Clinical Nutrition. February 2010. Age-related cataracts and Prdx 6: correlation between severity of lens opacity, age and the level of Prdx 6 expression. British Journal of Ophthalmology. August 2009. Antioxidant nutrient intake and the long-term incidence of age-related cataract: the Blue Mountains Eye Study. American Journal of Clinical Nutrition. June 2008. Associations between age-related nuclear cataract and lutein and zeaxanthin in the diet and serum in the Carotenoids in the Age-Related Eye Disease Study (CAREDS), and ancillary study of the Women's Health Initiative. Archives of Ophthalmology. March 2008. Dietary carotenoids, vitamins C and E, and risk of cataract in women. Archives of Ophthalmology. January 2008. Antioxidant vitamins and zinc reduce risk of vision loss from age-related macular degeneration. National Eye Institute. Press release issued October 2001. All About Vision supports the efforts of Optometry Giving Sight, Essilor Vision Foundation and OneSight to eliminate vision issues including uncorrected refractive error. We encourage our readers to consider supporting these humanitarian eye care non-profit organizations. All About Vision and AllAboutVision.com are registered trademarks of AAV Media, LLC. © 2000-2019 AAV Media, LLC.